I don't think that's much of an argument to tell the truth. Who knows how a random person faking a map might think? Don't assume they're smarter than they are. The little piece of Mexico is very Rockstar though, I agree. And the oil fields thing... hmmm. I want to talk more about the general geography and how it relates to the real layout of the US. Post coming eventually, after I wrangle my thoughts. The overlapping area of West Elizabeth doesn't have some locations from the first game. It does feature a new spot called Quaker's Cove though. It also doesn't show a train track on the original leaked map. I don't have any problem imagining San Diego Rockstar creating a larger narrative where the player visits West Elizabeth from the first game. Just because GTA doesn't do that doesn't mean Red Dead can't. There was some other post somewhere that suggested the silhouettes from the sunset shot was Dutch's gang further suggesting Red Dead 2 is a prequel. That fits nicely with crossing over to West Elizabeth to where Dutch appeared at the end of Red Dead 1 as well as Marston trying to start a family at Beecher's Hope. I didn't mess with the New Bordeaux area. The leaked screenshot looks like a bad pasting job with some opacity. On closer inspection this looks like a huge town. That'd be strange to feature the largest town in a far corner of the map. Rockstar can make this world anything they want. It doesn't have to conform to some larger North America fiction... so you can have a Desert in the game somewhere. It's a bit off for the GTA model, but not that odd for Red Dead. For one thing, that's not a very large town even though it looks to be the largest on the map. For another, that's basically what they did already in RDR: Blackwater was the biggest and most city-like town, and it was isolated way off on the outer edge of the map. I think they really want wilderness and plains to be the game's main course, and towns to be interesting side dishes at most. 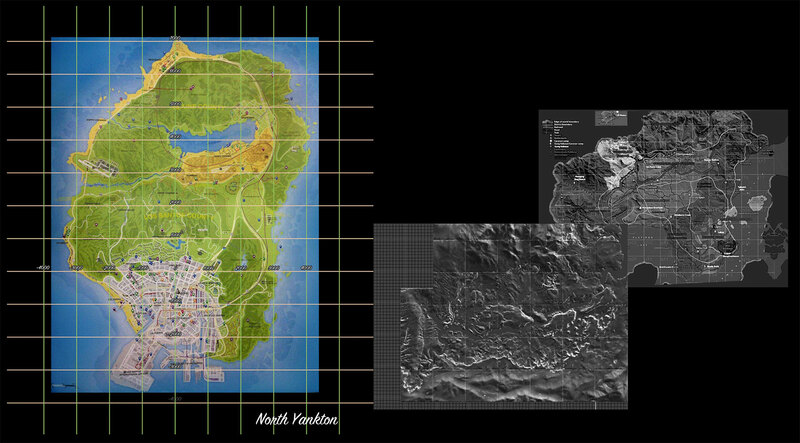 For what it's worth... the Rage engine land chunks match up with the leaked map, the original Red Dead map extracted by someone years ago and this other map of GTA 5. 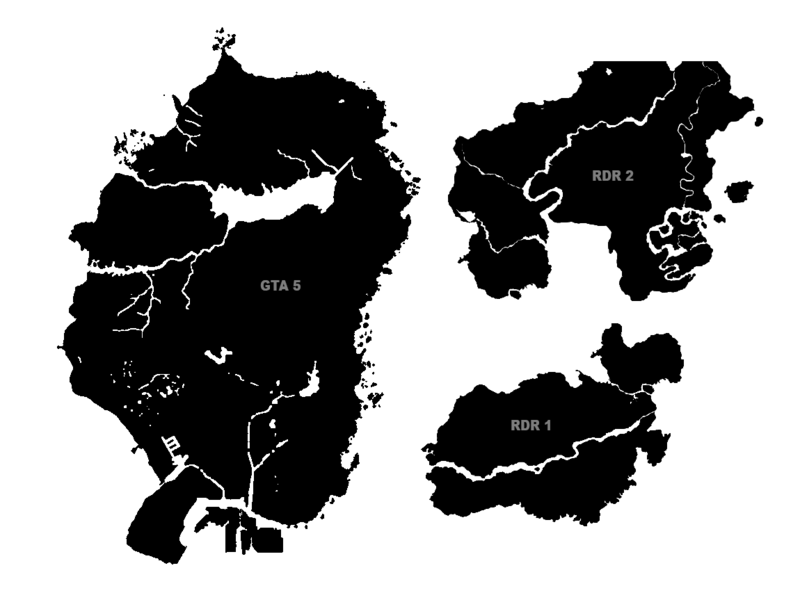 BTW... the fact the regional streaming squares are the same size as the other Rockstar games gives a lot of credibility to this leaked map being real. It's a hard to imagine and odd feature to include if it's a fake map. You have to look really deep on the internet to find this information. And judging by the location of Three Peaks and the rail road, it lines up almost perfectly with the map. There's no doubt in my mind any more but I'm always welcome to great observations that debunk it. True! You're right... Blackwater was far off the to side in the previous game. It was a good representation of modern society moving into the wilds. What's stopping us from crossing over into New Austin though? In redemption, there's bridges connecting West Elizabeth to New Austin. Maybe we won't be able to swim after all and the bridges were removed. Now, my next point. Back when Rockstar created RDR1, they created an amazing, sprawling recreation of Mexico, the American Southwest, extending north and east to the foothills of the Rockies & the beginning of the Midwestern great plains. On the way from "Texas" to the "Great Plains," and just before the Mason-Dixon line (Dixon Crossing/Mason Bridge) there was even a town that represented a swampy/bayou part of the country. There was even a rotting River Boat just up stream from that area. Given the scale of the rest of the map, this was just enough area to convey the area of New Orleans, LA, and it was situated in just the right position: between Texas and the plains. Now, fast forward to the leaked map. 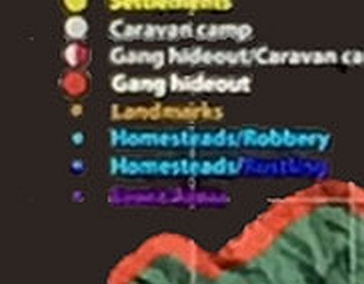 If R* is making this great big new map, that includes a New Orleans parody (nevermind the indefensible idea that they are sharing custody of it with Hangar 13, lulz), why would they keep the "junior" version of it that lies on the other side of the "Great Plains" on the RDR1 map (Thieves' Landing)? Even if its not included, it's still "part of the canon," right? Otherwise WTF is the point of keeping any of it?? (well, the point is because it substantiates the inclusion of John Marston in the new game, which we all want, right?). But it just seems like more trouble than it's worth. 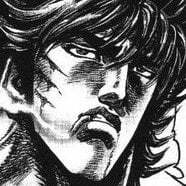 If you're R* and you want to continue the story of John Marston or Dutch so badly, why don't you either A. Leave out any of the old map, so you don't have this weird repetition going on, or B. just don't make a, hahaha, "New Bordeaux." Problem solved. 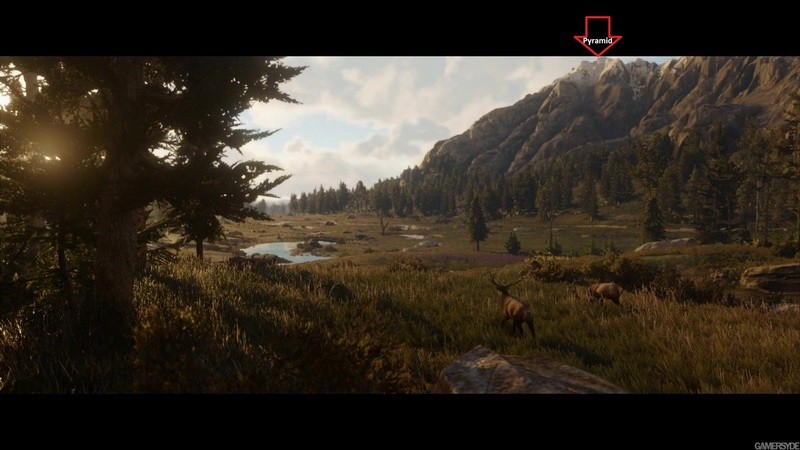 I still haven't mentioned how "The Great Plains" in the RDR1 map gets repeated in the leaked map as "The Heartlands," both being terms for the same area of the United States; "Tall Trees" represented the beginning of the Rockies in RDR1, but now you leave those Rockies, travel up through the Great Plains, then hit NOLA again for some reason, then the Heartland again, and then back to the Rockies/Grizzlies, as you travel north and east from Mexico and Texas. 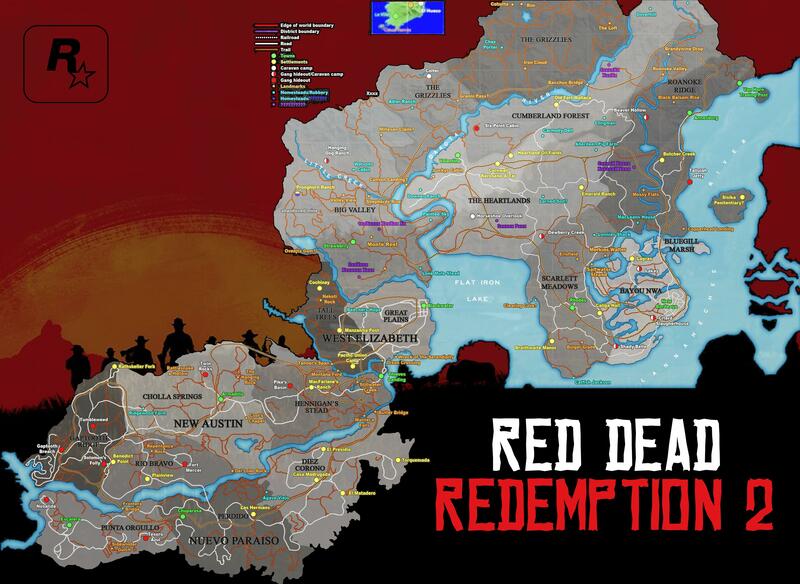 The problem I have with this leaked map is that it ruins the flow of R*'s version of the Frontier-era United States. It's like: either keep it the same, or start over...but don't try to jam these two together. And that's why I must conclude that this just doesn't feel like the R* way. Neither the idea of recycling characters, recycling stories, nor recycling maps. Now we're really getting interesting with this. I think the Thieves' Landing argument can be dismissed right away. It was never explicitly presented as being based on New Orleans. It's certainly not big enough, even viewed through the prism of Rockstar's America-in-a-bottle logic; New Orleans had a population of almost 300,000 around the time that Red Dead was set. While the setting is certainly "bayou country" (low-lying and swampy), that's not strictly a Louisiana thing. There are plentiful swamps and bayous in Mississippi and even Texas. And there were plenty of Southern and frontier towns that built their economies on whorehouses and gambling. If it set in an earlier time they can remove any bridge connecting to the original game. I suspect they'll keep your inability to swim. It's a cheap and wonderful way to gate the player without burning time on crazy ways the players try to get out of the world by swimming for miles. Its amazing how the trailer showed so little but the actual scale was astonishing. And that's not even 45% of the whole map! I'm still holding out hope that *if* the map is even real, then swimming (and boating) are in the game, but they've employed other means of boxing us in. How about "a hostile Indian tribe is past that river, if you go too far they'll kill you"? They could even use the Bethesda model where the world keeps going but once you wander to a certain point, it just tells you you have to turn back. Though that is very noticeably artificial and Rockstar tries to avoid that kind of stuff usually. An invisible wall is the ultimate barrier. Setting up AI conflict can be unpredictable. There's also player mentality to push harder against a wave of combat thinking there's something to be mastered and rewarded with. I'm real curious if you'll be able to canoe! And is that allowed on the big open lake or only in rivers, blocked by rapids? If it's on the big lake, then I'd expect a shoreline far south. Paddling over there for 5 minutes to get nowhere would be a bit of bad game design. Getting back to the invisible wall... would players call this a cheap and inexperienced thing to do? Like smashing your horse unexpectedly into nothing? heh Coming up with creative world edges usually boils down to hills too tall to climb or some magical teleportation wall for open water. They also have done the thing where your plane or boat dies and sharks get you (GTA V). For some reason I just don't see them doing invisible walls - they never have, and somehow it feels very un-Rockstar-like, to me. They seem to be big on immersion and invisible walls yank players out of their immersion pretty hard. Maybe they would monkey with the known terrain a little bit - make some impassable rocks and cliffs along the river, or something. 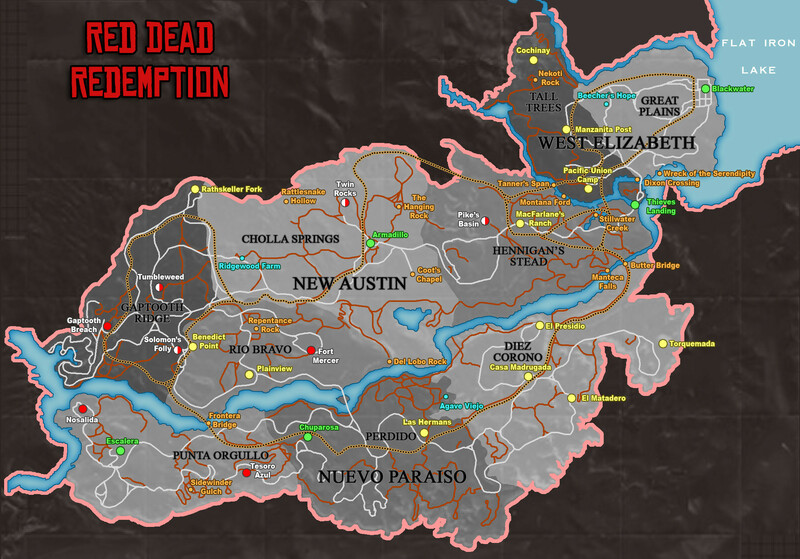 My best case scenario is that they end up including the entire RDR landmass and map along with the new map, and it just wasn't all shown on the leak. Though obviously they've never done anything like that before. They occasionally use a piece of an old map (like the Liberty City mission in San Andreas), but never the whole thing. But man, I really just want this map to be YUGE. Well if the leaked map turns true I'm worried it'll end up being small. I know it doesn't look like much yet, but I am working on mapping this river valley in what appears to be between Three Peaks, or what I am going to call the "Three Sisters." 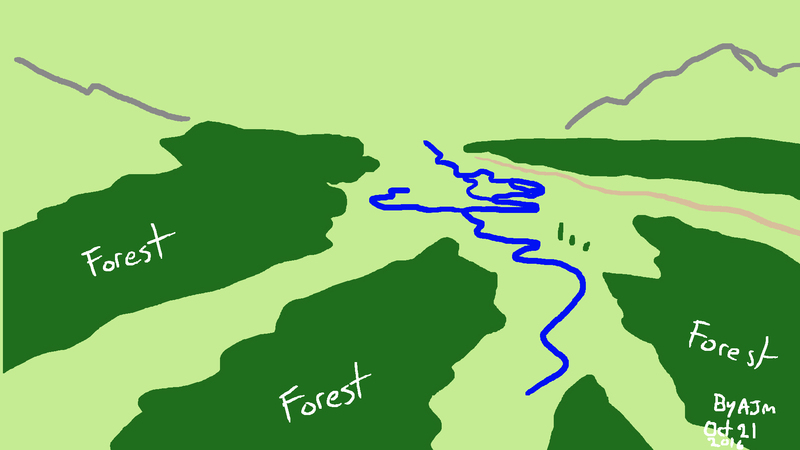 I am charting the river course now, then will focus on the mountains which I doubt are climbable to the top. I also have no compass yet until we come to a consensus on one. 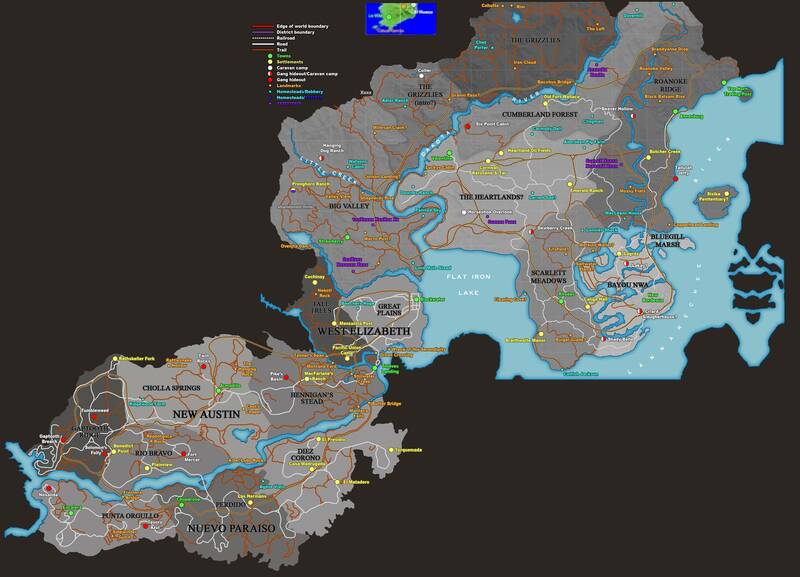 Just the new stuff is about 30% larger (landmass only, not counting water) as the original RDR map. Add in the part of RDR they appear to be reusing and it's even bigger. Considering we'll still be using horses, I think it would end up being plenty. My point is I thought rdr1 map was huge but this looks smaller,can we have the two maps same scale to compare? This is close. As you can see, the new landmass on the leaked map is a bit bigger than the old one. The size is hard to tell since both masses are weirdly-shaped but eyeballing it, I think 30% or so is right, and that's not including the recycled West Elizabeth, which adds even more. I currently feel about 55% confident the leaked map is fake, so about 45% confident the leaked map is real...it's a very close call. The reason I think it could be real is some of the mountain ranges, general landscape of "heartlands + mountains", etc. appear to be lining up, albeit vaguely, with the trailer. However, there is so much damn evidence that that leaked map has been altered through photoshop. I don't trust anything at this point other than the topography and general map/district boundaries. I even have trouble trusting the Bayou region is real because that whole region looks like sh*t to me. I just want to err on the side of caution with that leaked map, especially with anything that's mentioned on that damn legend. The towns, settlements, railroads, trails, everything...looks fake to me. But that's not to say the entire map is faked. Here's the landmass for each game if people want to play around with them. I'm sure there's some Photoshop plugin out there that counts pixel colors. Find out what each pixel distance is equal to game distances (google search size of GTA or RDR 1) then multiple the pixel count to find how much land exists in each game. Invisible walls would just be immersion breaking, I wouldn't like them at all. 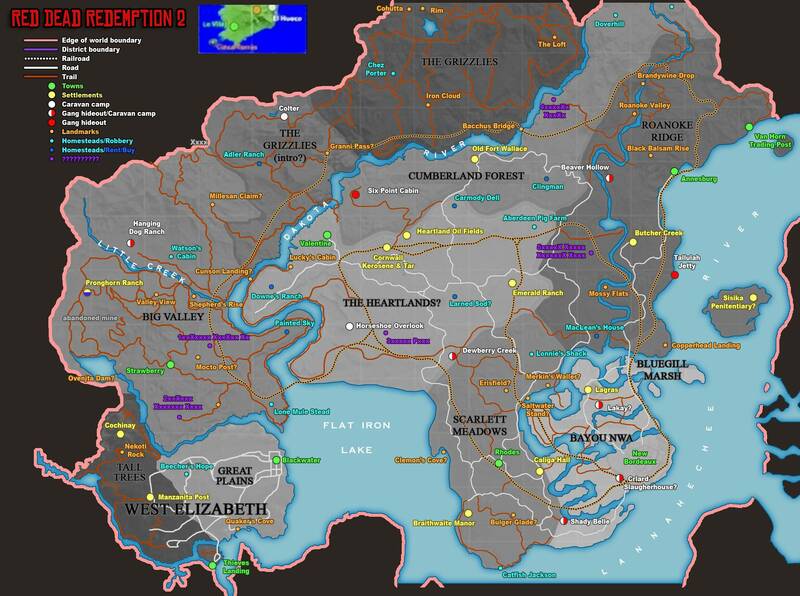 The whole West Elizabeth inclusion in the leaked map doesn't make sense to me. 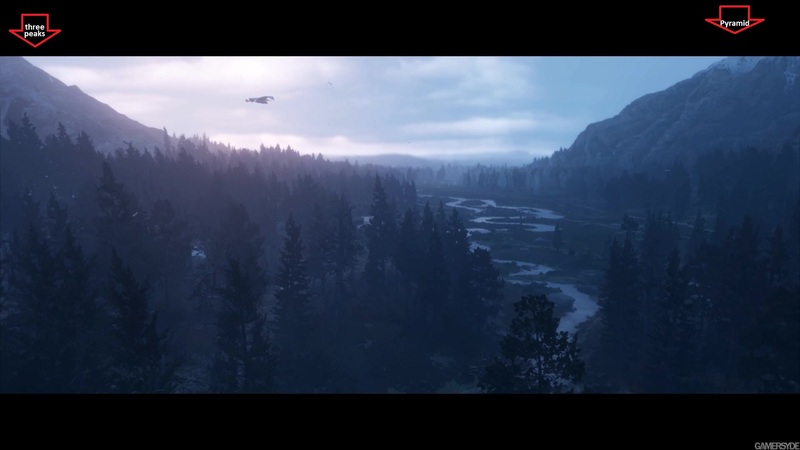 The leaked map doesn't show any bridges between West Elizabeth and the northern areas and there was no such thing in Redemption 1 either obviously. So how are we gonna travel between the two areas, by boat? It seems like some very awkward map design and like already said, stopping people from going further south to the old map seems like it could be very complicated. It's possible that the leaked map is real as we have noticed similarities between it and the trailer, but it could be a very early concept that has seen major re-designs over the course of development. 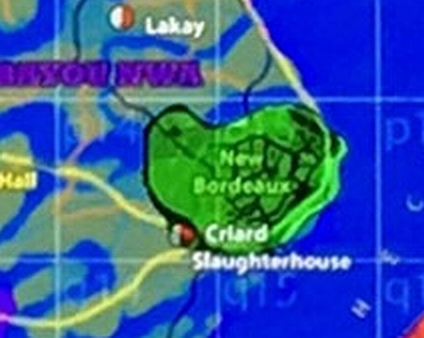 Also the "New Bordeaux" name still sounds questionable, because it's a city in Mafia 3. As far as your assessment of the Great Plains and the Heartlands, spot on. Being a Minnesota native, I am hoping that RDR2 will take me up closer to home...maybe the Dakotas or Iowa or something.